It’s like being in the country. I did not plan this trip. Every so often I like to be a non-planning traveler. I joined a meetup.com group and whenever they do something interesting I join them. The organizer for this trip was William, an American-Korean living in Korea. He does a very good job planning trips. 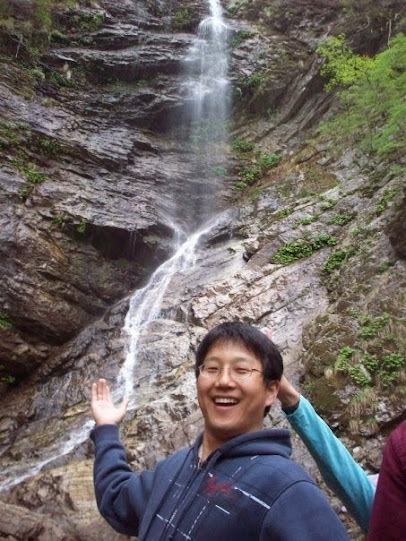 If you live in Seoul and are a member of meetup.com I recommend going on some of his trips. 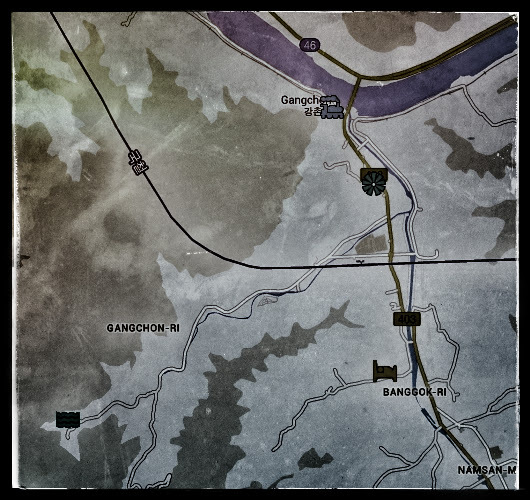 We left Seoul in the late morning and got to Gangchon in the early afternoon. The first thing we did was to check into the guest house. Unfortunately since William did all the planning, I don’t have any information on lodging. There were about 10 people in our room. I’m not sure about the exact number because people came and went. I was never sure about who were visitors and who were part of the group. We all slept on the heated Korean floor called an ondol. There was a tteokbokki cook off for lunch. We got to sample two or three types of tteokbokki and picked a winner. There was one with spam and one that was plain. I liked the spam tteokbokki best even though I like neither spam or tteokbokki. Somehow putting 2 things I don’t like together makes something I somewhat like. If you don’t know what tteokbokki is, let me explain. First off let me tell you what dok is. In Japan they call it mochi. You take sticky rice and pound it beyond recognition. It will become doughy and moldable. 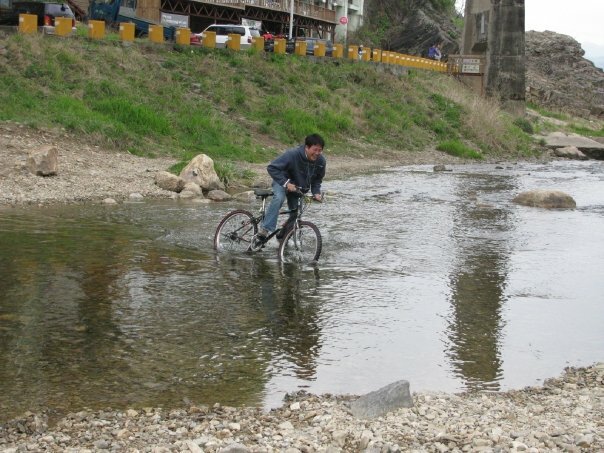 In Korea this is called dok. You then take the dok, mold it into long tubular things, cut it up, and put it into a red pepper sauce. You can add stuff to it like cheese or odeng. I don’t like tteokbokki, but I don’t hate it either. I think it would taste better with a tomato based sauce and then I would add meatballs. That would of course then make it a pasta dish. After lunch we set off to see the sights. We rented some bikes for the day. William talked to a bike rental place and they came to the guest house to pick us up. The cost of the bike rental was ridiculously cheap, but I don’t remember what it was. One website I looked at says it costs 2,000KRW per hour. 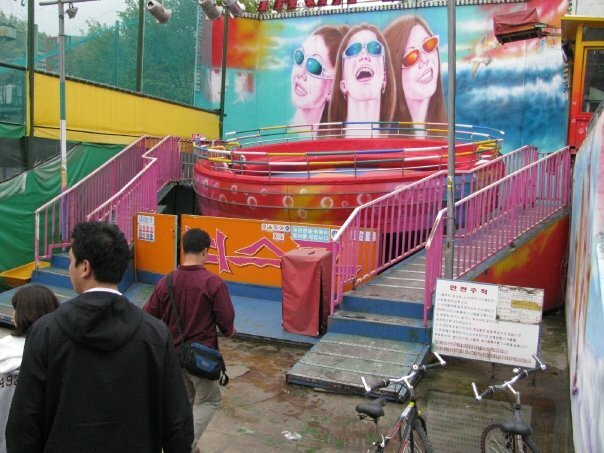 While we rode through the town we came across a small amusement park called Gangchon Land. When I say small, I mean it had 3 rides. We got on 2 of the 3 rides. The third one was closed for some reason. The first one was a round seated wheel thing with no straps and very little to hold on to. The ride operator’s job was to get us to fall off. He would do this by spinning the wheel and making it jump. He would also talk to us to distract us. I really liked this one. I laughed so hard during the ride my stomach muscles ached afterward. The other rides were forgettable and not worth mentioning. We biked all around town and through the woods. When we were finish exploring Gangchon we decide to head up the mini-mountain in the middle of town. There is a bike path to the base of the mountain. 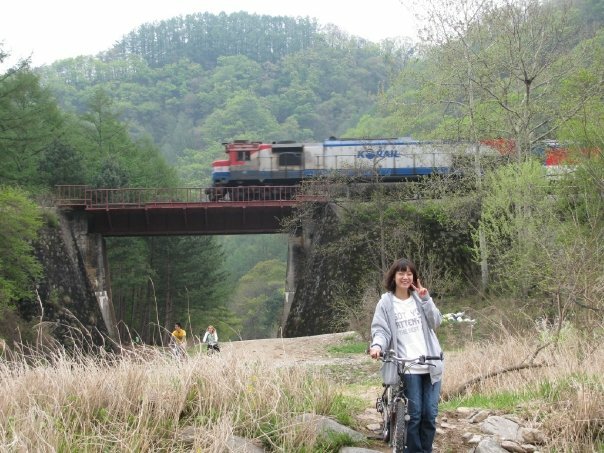 We parked our bikes and headed up the mountain trail on foot. It was pretty easy going compared to any other mountain in Korea. At the top there was a waterfall and a guy trying to make a buck taking photos of tourists in front of the waterfall. I don’t know how much money he could possibly make since everyone in Korea owns their own expensive digital camera. The next day we got up late and did not have time to check out the neighboring towns, but we had a couple of hours to kill before our train ride back to Seoul to see the Buddha’s Birthday parade. 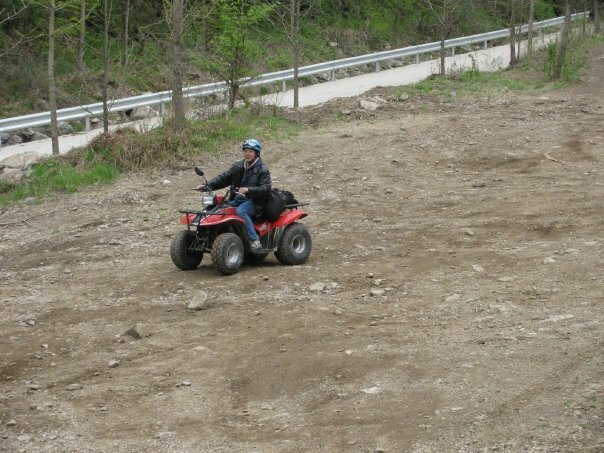 We decided to rent ATV’s. 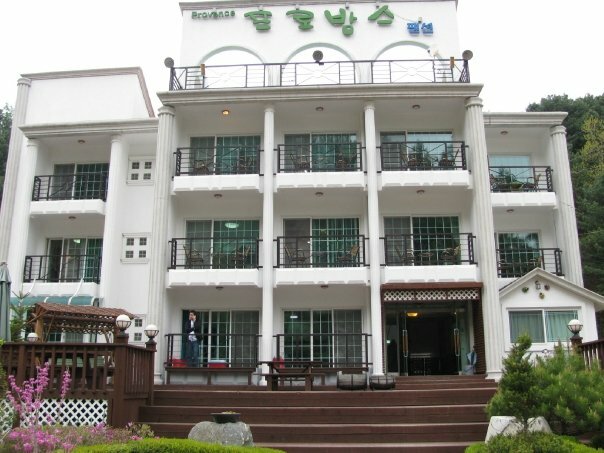 There was a place not too far from the train station that was renting them for about 30,000KRW. Mark and I shared one and raced William on the obstacle course. 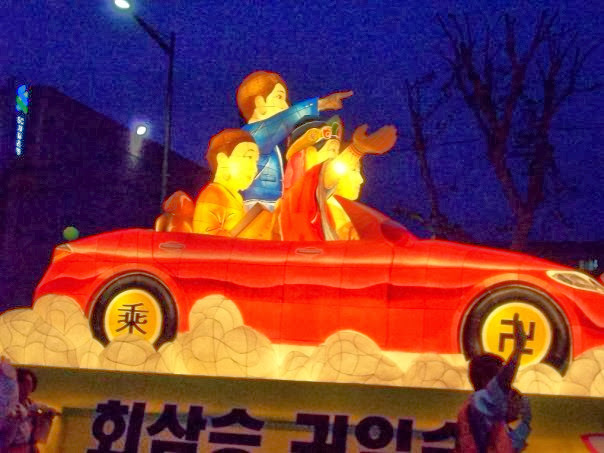 When we got back to Seoul we saw Buddha’s Birthday Parade. Some of the floats were… interesting. My favorite ones where the fire shooting floats. 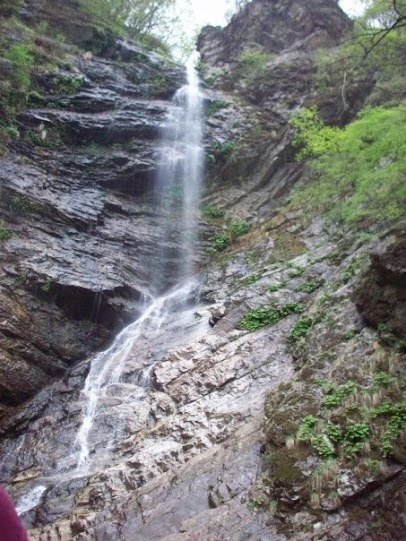 Go to Cheongnyangni Train Station, which is very close to the Cheongnyangni subway station on line 1. Buy a ticket to Gangchon. It takes about two hours to get from Cheongnyangni to Gangchon and visa versa. Now, I think, you can take the Seoul subway to Gangchon. There is no need to take the railway. A seated ticket costs 4,700KRW for an adult, one way. Standing tickets are a little cheaper, but not worth getting on weekends or at crowded peak times. If you have a standing ticket you may sit in any unoccupied seat, but you will have to get up when the ticket holder for that seat boards the train. The first train leaving Seoul is at 6:20 and the last train leaving Seoul is at 20:15. The times leaving Gangchon are similar. The trip takes a little over an hour and a half. You can rent bikes, scooters, and ATV’s here. I think the Seoul metro now goes all the way to Gangchon. From the train station you can just walk to the falls. Just follow the road and ask people for Gugok pokpo. Technically there is a fee to enter, but they don’t always have someone to collect the fee. It’s 1,600KRW if they do. You can rent a bike or a scooter and ride to the base of this mountain. It’s not a very big mountain. It would take about 45 minutes to get to the top. There is a restaurant at the entrance, but it is not always open. 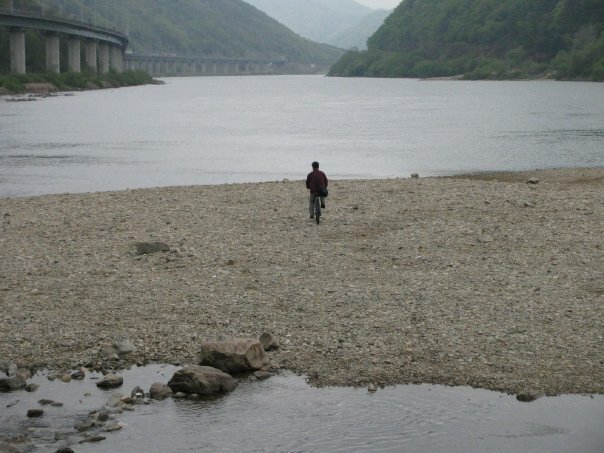 There used to be a place in this area where people could go bungee jumping at a very low cost, but that was closed years ago. Just walk along the main road from the train station and head east. You can’t miss it.